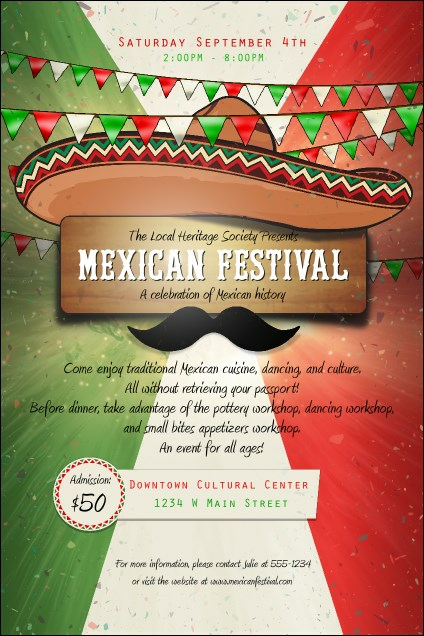 Think big when you advertise your next shindig with the Mexican Fiesta Poster! Featuring drifting confetti, garland and a backdrop in colors of that nation's flag, this is perfect for showing off your coming Latin-themed happening. Sixteen lines are easy to edit with your details. Raise awareness for any party with the right poster from TicketRiver.com.au!